The World’s First Suspended Plate Straightener: Are Remington’s ‘Air Plates’ Really A Superior Way To Style? as well as stripping vibrant colour, to leave behind a ‘do that’s dull and harder to manage than it was to start with. It’s a vicious circle. As a result, I’m always looking for new tools and better technology to help create the look I need while minimising potential damage; when I found out about the world’s first suspended plate straightener from Remington, which claims to reduce styling time and therefore potential heat damage, I had to give it a go to see if it really was a superior way to style. 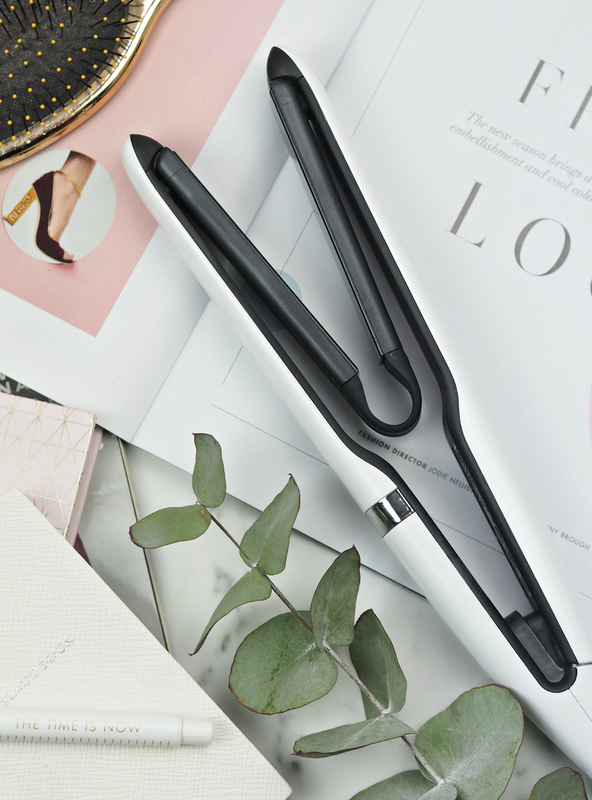 The new Remington Air Plates straightener features unique suspended plates that move freely with your hair, providing ‘maximum contact at every stroke’ with the objective of giving you one-pass styling every time. The majority of damage comes from too much heat and too many repetitive actions, causing our strands to become dry and fragile; theoretically by turning down the heat or negating the need for so many ‘go overs’, damage can be managed and hair can look healthier. So far so good! 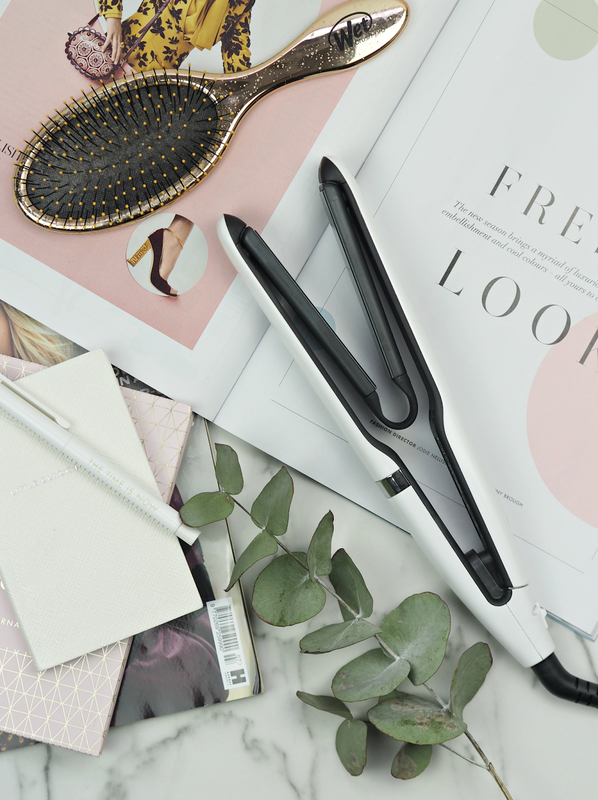 The straighteners also feature five heat settings, 10 x more ceramic than their standard tools (which helps to create glide and minimise heat damage,) alongside ‘cool touch technology’ which directs heat away from the outer casing to allow you to grip above the plates for better control without burning your fingers. 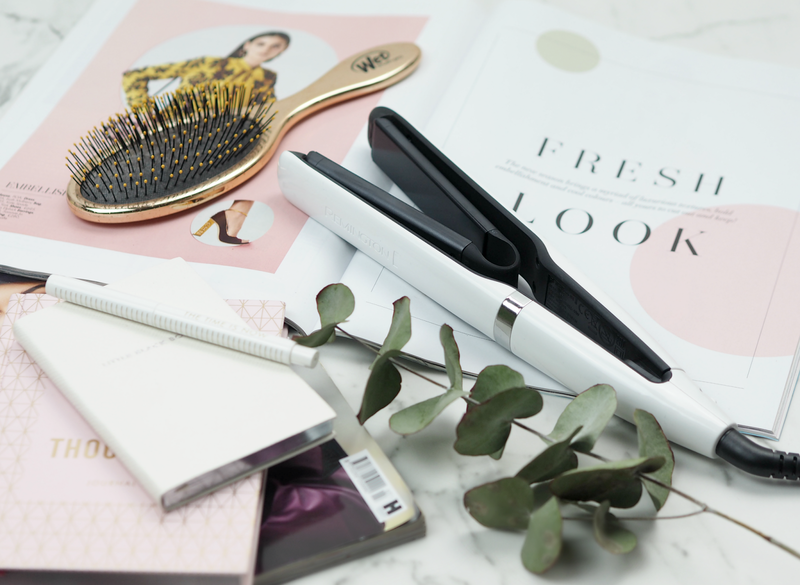 I’m already a user of Remington straighteners so I can easily compare to the others they offer, as well as having used GHDs, L’Oreal’s Steampod, Cloud Nine and too many others to mention. Suffice to say I know my stuff when it comes to hair tools… These look pretty fancy and heat up within a few seconds, keeping the warmth on the plates and nowhere near the outer casing (YEY for those of us that have a tendency to burn our fingers every other time we wash and style our locks!) They’re chunkier than my usual tools, simply due to the additional space the suspended plates take up, but easy and comfortable to use. As for the ‘one-pass’ technology claim, although these do help to smooth and style easily with only one pass of the plates, I do find myself revisiting certain areas that need a little added help. Although these look fab and sound all fancy, the benefit above and beyond my usual tools is slim and not absolutely necessary (other than the fact the heat is kept on the plates and away from my digits, which is a saviour for the clumsy among us!) They’re a great set of straightening irons, yes, but the hoohah around this ‘superior styling’ quality is a bit lost on me. Did they speed up my morning routine? Marginally. Did they offer a superior finish? Marginally. Did they help create a longer-lasting style? Marginally. If you’re looking for a new tool and want to invest in the most up-to-date technology, then why the hell not get involved with these Air Plates… Otherwise, maybe give it a miss for now. What do you think about this ‘suspended plate’ technology? Does it excite you or leave you intrigued? The Remington Air Plates Straighteners are priced £79.99 and are available online. Next Post Five Fabulous NEW Lip Treats I’m Loving For Autumn: Care, Comfort & Colour! Yeah I don't think this is a 'rush out and buy' product, more a 'my straighteners blew up and I need some new ones'. It took me a few goes to really like them too, so stick with what you've got until you need to upgrade in my opinion! For the price I will be giving them a miss. They do sound pretty good though. I just don't think I'd give up my current ones in favour of. The price is pretty reasonable IMO – on par with the majority of decent straighteners out there, especially with a bit of innovation. But totally get what you mean!